Are you a geek who spends a lot of time in the kitchen or you know someone who does? 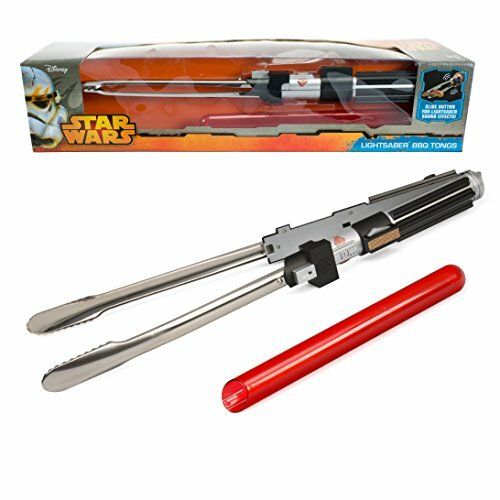 Then today, we have a great selection of geeky kitchen gift ideas for you. If you like this selection of geeky kitchen stuff then you’ll probably enjoy our earlier post with even more Geek Kitchen Gift Ideas. 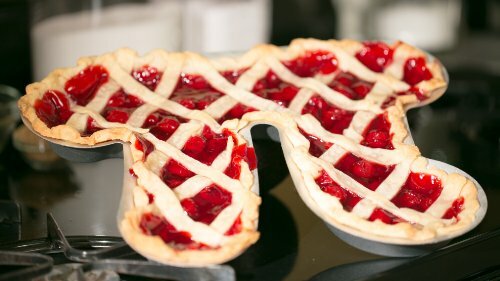 First up is this really cool Pi Pie Pan – it takes a little more pastry than a normal pan but it also needs more filing too and you can never have too much yummy filing in a pie! 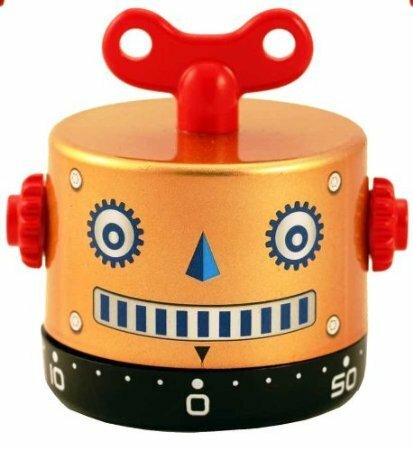 I love the cute robot timer – just the thing for keeping track of your Pie cook times! 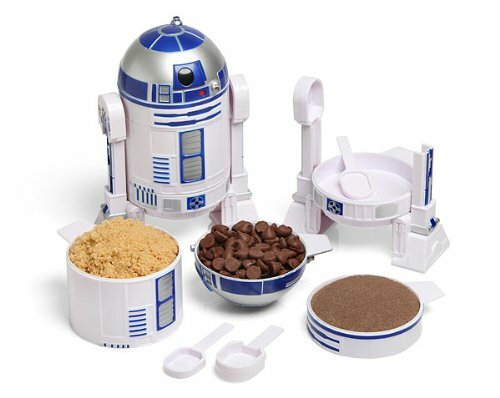 The R2D2 measuring cup set all fits together to make a mini R2D2 – such a great design and you’ll easily see if you’re missing a piece when you put it all back together again. The kitchen is about the only place I like to have a clock on the wall and these two great clock designs would fit any geeky kitchen. 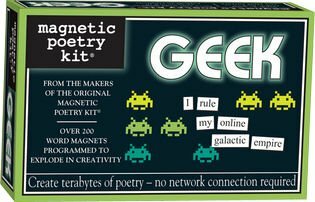 The geek poetry set is a fun addition to any fridge or freezer door and will keep your kids or visitors busy as they play with it while you cook or make the coffee. 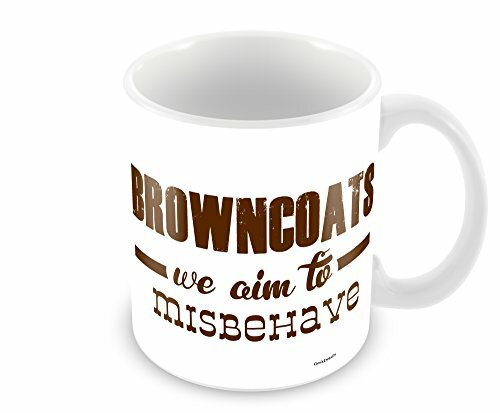 I’ve done several posts about mugs for geeks – Science Geek Mugs and Mugs for Gamers spring to mind but I also regularly include mugs in many other posts to fit the topics. 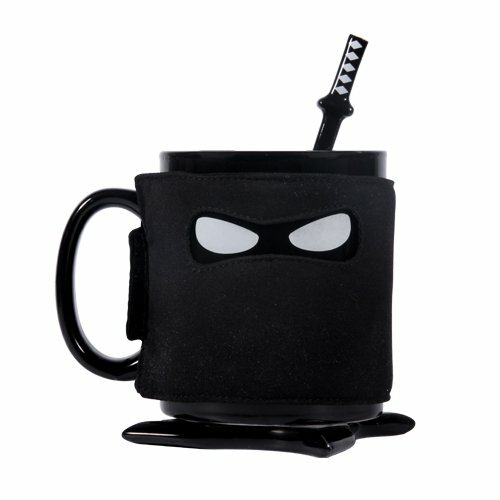 I haven’t seen this cool Ninja mug before though so I had to include it today. I especially love the sword stirrer which comes with it as well as the ninja star coaster! 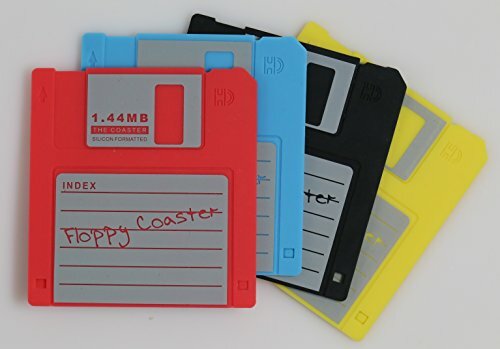 Keep your flat surfaces unmarked with these retro floppy disc coasters made from flexible silicon – perfect for any computer geek! 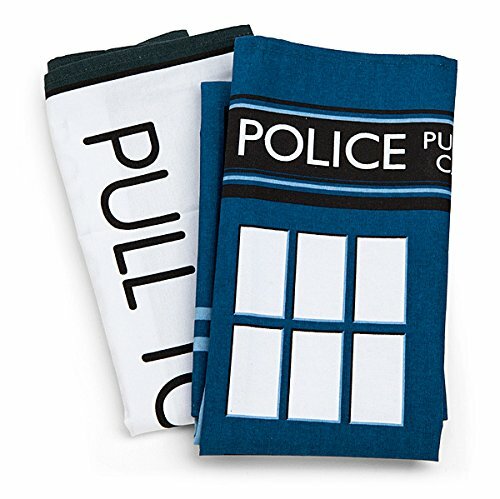 Tea towels are a great way to bring a little fun art to your kitchen and these Doctor Who Tardis tea towels are no exception. 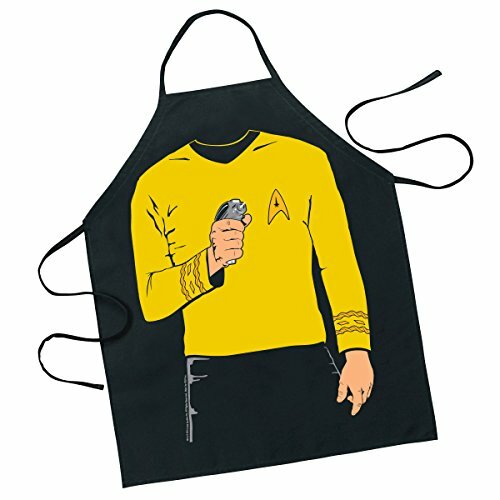 If you are more of a Star Trek fan then this Captain Kirk character apron will suit you or it could make a great gag gift for a friend or colleague. 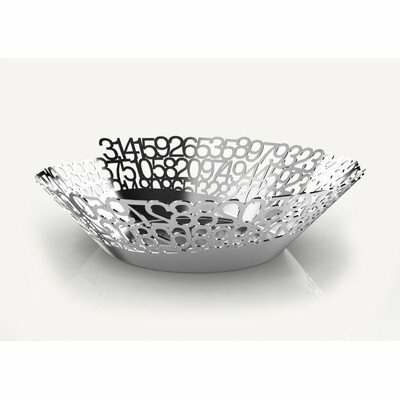 I love this stylish Pi fruit bowl made from brushed stainless steel. 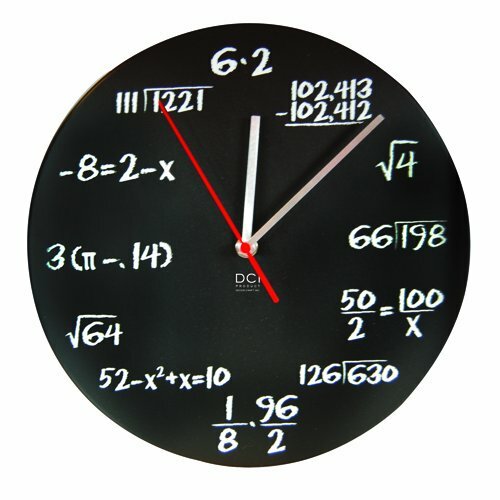 It has the number Pi cut out all the way around the edges to a high number of decimal places which makes for a very intellectual, math geek design! 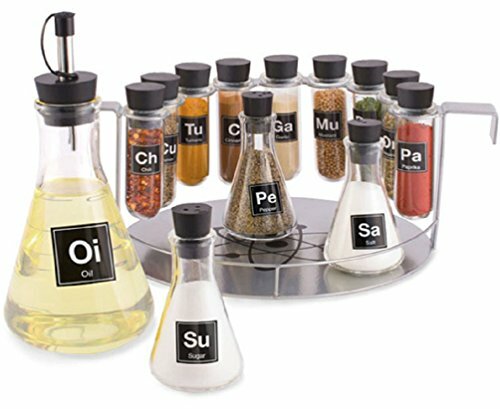 I really like the Chemistry set design of the spice rack and the oil and vinegar dispensers. The spice set has 9 herb test tubes, 3 medium sized flasks for salt and pepper and just one large flask for oil. 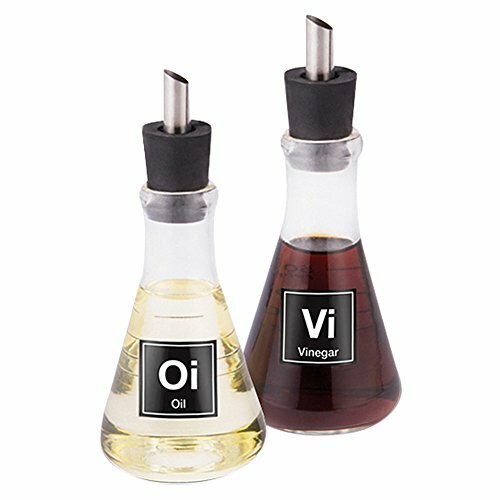 I like flavored oils so I’d probably buy the oil & vinegar set too and have two oil flasks! I had a lot of fun finding these cool kitchen gift items for you – there are so many available it was tough to narrow them down. 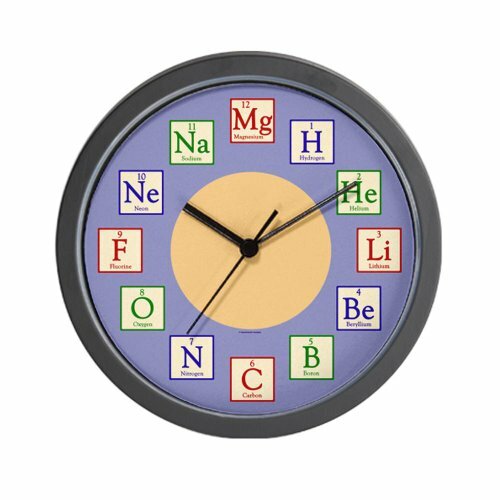 If you need more ideas, don’t forget to check out our Mugs for Science Geeks or Fun Mugs for Gamers posts or sign up for the mailing list so you won’t miss any great gift ideas we have coming up.